Ways to lose weight without dieting can be as easy as eliminating just a few food from your diet. 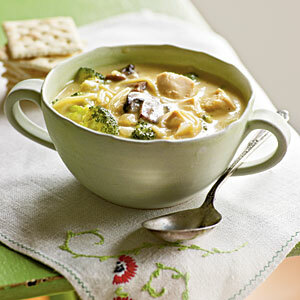 Processed foods which are all packaged, canned frozen foods. The exception is frozen organic veggies and fruit. Eat fresh fruits and vegetables when dieting or not just get into the habit of buying them and easting them everyday. Stop as much as possible eating foods loaded with white processed sugar. Not only will you not lose weight but processed sugar distroys healthy cells. Drop all food with MSG and genetically modified and trans fats and high fructose corn syrup. All 4 inhibit losing weight and most certainly diminishes health. and Minerals a Must for Health! When dieting you know keep good balance eating is essential to reaching your dieting goals. So, as we discussed last week adding vitamins and minerals while losing weight is the only safe way and the quickest way. Vitamin C via citrus fruit go to my pages on juicing. 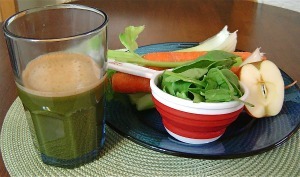 The absolute best and easiest way to deliver nutrients to your body is via juicing. Also get the best vitamin C supplement. Try this company you won't be disappointed. Vitamin E gel tabs is a must when dieting or just wanting super health. Your blood remains less viscose and generally freer of blood clots. Vitamin E serves as a blood thinner. So, if your doctor hasn't warned you yet, don't take vitamin E if you are taking blood thinners. Multi-Vitamin with Minerals needs to include Vitamin B complex but does not need to have B12 in the multi. Folate must be present that's Vitamin B9. Minerals must be present: zinc, copper, selenium, chromium, potassium, molybdenum. Magnesium tablets follow the RDA and serving size on the label and don't exceed the limit unless instructed to by a physician or healthy care professional. Calcium tablets follow the label or what has been instructed via a health care professional. 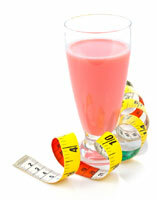 Read the page on ways to lose weight with calcium. There are so many ways to lose weight without dieting you just need to use your amazing brain. Potassium tablets if you sweat a lot and if you don't eat foods like white potatoes, prunes, raisins, bananas etc much. As always read the label and follow RDA and serving size. And not eating red meat daily because the nitrates and other added compounds inhibit losing weight, not even considering saturated fat content. If red meat is a food you cannot or will not give up lessen the frequency of eating it. No more than twice weekly. Green veggies in the handfuls lunch and dinner every day due once again to the "fiber factor." If you are one of those carbohydrate addicts who craves empty snack foods you are more likely to eat greens if you juice them or smoothy them! You will be surprised how many servings of romaine lettuce, spinach, collards, kale etc you can get in just one 8 oz smoothy or 6 ozs of juice you made yourself! Barlean's for flaxseed oil; Carlson's for fish and cod liver oil. Vitacost.com Wow of the Week: Spend $25 on food and get free shipping. Over 50 Top Selling Products On Sale. Save Up to 67%. No Code Required. Exercise is a must. Ten times more weight can be dropped from your body if you move it daily. Eat in the same place when at work or at home. Bring something to do to the table like a crossword puzzle at meal time. If you are eating with other talk more than you eat. When you eat slower you eat less! Brush your teeth directly after meals take the taste of food out of your mouth so 2 or 3 hours later your not wanting to eat again. Besides brushing and flossing more than twice can cut down on expensive dental care. Eat one food you know your body needs but you don't necessarily like all that well. One of my less favorite foods is Brussell's sprouts, but I eat them. 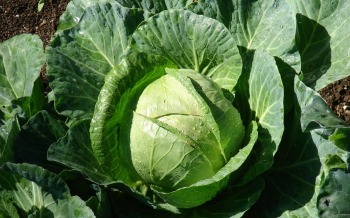 Brussell's sprouts along with cabbage and broccoli is one of the most vitamin and mineral packed food on this planet! So, experiment and eat your body will thank you for the effort. Ways to Lose weight without dieting are out there to be used. If you are looking for a dieting plan without actually dieting this page is a great start. I recommend using as many of these simple changes when dieting and when just wanting to drop weight naturally.